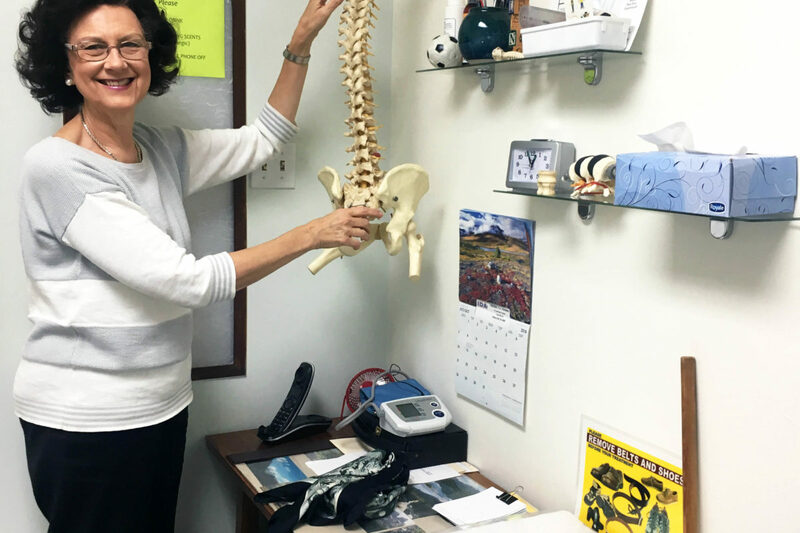 Located at 363 Jane St. in the Baby Point Gates neighborhood of Toronto, Hammerich Chiropractic benefits from the incredible experience, knowledge and passion that Dr. Karin Hammerich brings to her business. Karin’s career has been highlighted with the distinction of being the first woman delegate to the World Federation of Chiropractic and to the International Chiropractic Sports Medicine Federation. She was also peer-selected as an educationally-influential chiropractor to the Institute of Work & Health. Most recently (2016), she was nominated to serve on the Canadian Chiropractic Guideline Initiative (CCGI) as a?Best Practices Collaborator for evidence-informed practice for the profession. Locally, she has been “Best of the Best for Chiropractic Service in Bloor West Village” for over 10 years running. Hammerich Chiropractic has been at this location for 18 years, however the location has been a Chiropractic Clinic for 58 years total. What prompted you to open your own business? I fell in love with chiropractic care during school. I have been an active practitioner of chiropractic for over four decades, more than half of which were spent working in France. As a child, I had spent some time in Baby Point and the surrounding neighborhoods, so it felt right to open a practice here when I came back to Canada. Tell us a bit about your business (products, services). What makes you unique? We treat everyone, from babies with colic, to senior citizens. All techniques are age appropriate and patient specific. We practice a pain-based service, with the goal to restore function. In addition to offering Chiropractic care, we have 3 excellent RMTs on staff.? We also pride ourselves on our high level of service and care. All phone calls are returned within the hour (during business hours) and all inquiries are addressed in a timely manner. What is “a day in the life of a small business owner” like for you? 6 am ? ? ? ? ? ? ? ? ? ? ? ? ?I come in early to do paperwork and update our patient management?system. 10am – 7pm? ? ? ? ? ?I have patient consultations. 7 – 8:30 pm ? ? ? ? ? ?We schedule time at the end of the day for emergency appointments. 8:30 – 10:00pm? ? ?I do a minimum of 1 hour of paperwork after the last patient has left. On Tuesdays and Thursdays I spend my days teaching Clinical Education at the Canadian Memorial Chiropractic College, and marking papers. What has been your biggest success as a small business owner? My biggest success is that Chiropractic care works. It is so gratifying to see the impact it makes on my patients’ lives. There is evidence-based science behind Chiropractic care, and I love the challenge of using that science to help every patient to the best of my abilities.